Click the pic to read about the goldmine of burgers we found in Hermitage! If you haven’t tried their burgers yet, WHAT ARE YOU WAITING FOR? THEY’VE BEEN OPEN 79 YEARS! Click the pic to check it out! 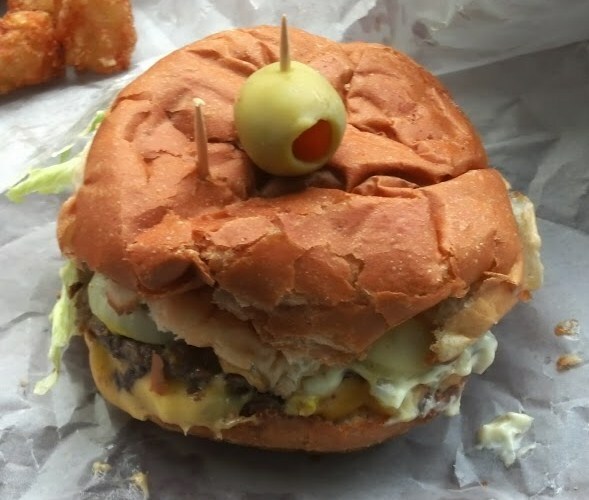 The Akron-Canton Burger Guys met at the Stow, OH, Swensons Drive In this month. 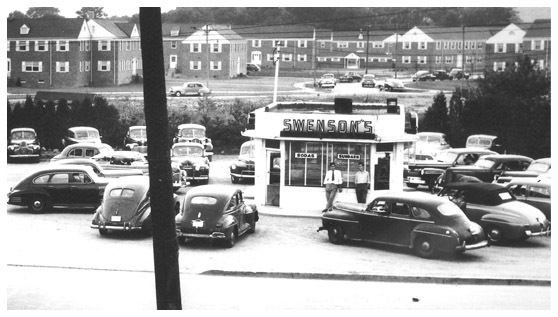 What can possibly be said about Swensons that hasn’t been mentioned in it’s 79 year history? Seeking fresh eyes, the Guys nominated a Galley Boy virgin to attempt it. 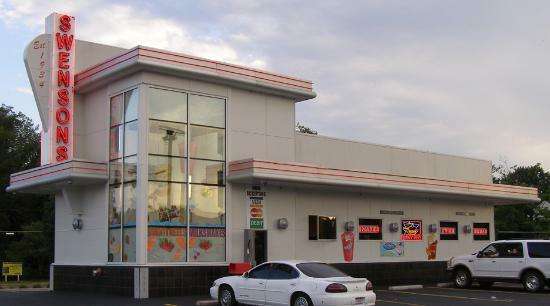 At Swensons, you don’t need to eat in your car anymore, but you will need to bring your own chairs (or picnic table). Drive-ins may have yielded to drive-thrus, but Swensons burgers prove that there’s no need to tamper with a masterpiece. adds two special sauces to a Double Cheeseburg. It’s been said before, but the Galley Boy is the most amazing hamburger you’ll find anywhere near Akron. The two sauces marry the beef, American cheese, and toasted bun into an experience that hits on all four tastes. If hamburgers aren’t your thing, Swensons offers other sandwiches, but…if hamburgers aren’t your thing, why are reading this blog? You won’t find alcohol on the menu, but something in Swensons 18 milkshakes, 9 pop flavors, or custom drinks will satisfy your thirst. As far sides go, Swensons offers up the traditional French fries and onion rings in addition to more exotic fare: potato puffs, fried mushrooms, potato teezers, and fried zucchini. The Guys who’d been here before and failed to order the teezers kicked themselves for passing. Facing the challenge of the Galley Boy, I stuck with the French fries and enjoyed their salty, crispy, deliciousness. Everyone enjoyed Swensons. If you’ve never been, don’t wait like I had. If you haven’t been lately, treat yourself to a drive in. After months of seeing Facebook photos of their burger creations, we finally get to check out Dine N Dash! Click the pic to see how they rate! The MHRB’s quest for the perfect burger continues with a trip to Wadsworth. Click the pic to check out their thoughts on The Galaxy Restaurant’s burgers.